Every day 3m passengers ride on the London Underground. That our free London Tube Map app has now hit 2m downloads and that potentially 2 out of 3 passengers could be carrying our app with them on their smartphone is astonishing! It’s a Number 1 on iTunes and we’re proud to have created the most downloaded London commuter app ever. 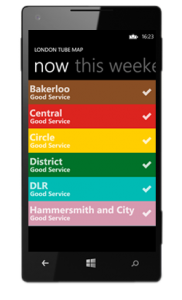 Not wishing to leave the other million out we’ve now released London Tube Map for Windows 8 and Windows Phone and earlier this month BlackBerry 10 joined the iOS , Android for Amazon Fire or Play (for everyone else) and bada apps already serving London’s weary travellers and excited tourists. 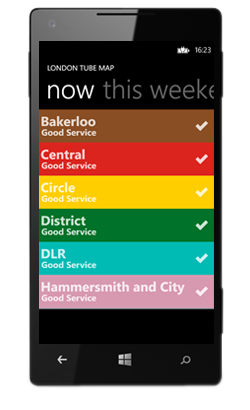 The iOS, Android and Windows editions are the first with Service Status indicators, a natty looking way of finding out whether you’re likely to hit delays or not. 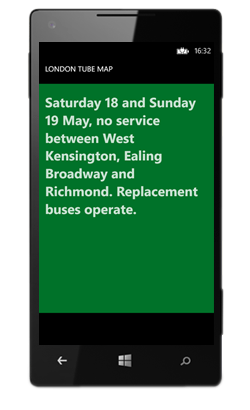 We had left internet features out previously because until last year there was no way of getting a data connection on the majority of the network’s busiest interchanges, deep under London’s streets – and who wants an app that only half works? 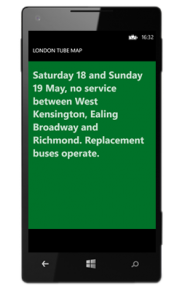 Now with Virgin Media Wifi spreading to the across the network giving tube passengers a fast Internet underground our iPhone, iPad, Android and Windows editions have all been given a reworking. To get London Tube Map for iPhone and iPad click here. For more Windows apps by Bappz click here.